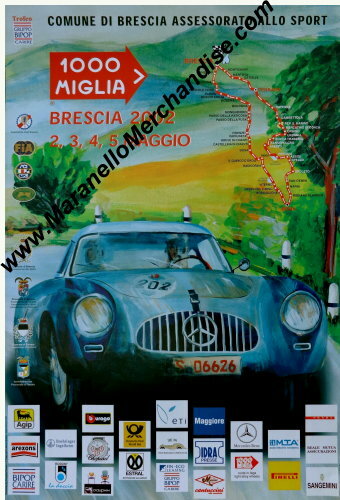 Official Event Poster for the Mille Miglia 2002 which took place from may 2 - 5 2002. Fantastic artwork that is not done justice by the picture here. 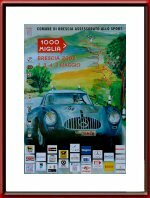 This is the official issue, measuring some 34 x 49,5 cm or 13.4 x 19.5 inches. This poster will be shipped, rolled, in a sturdy tube to reduce the risk of damage during transit to a minimum.